Happy Wednesday, everyone! Lots of winners will be announced soon, so make sure you've entered all the outstanding giveaways! One thing I know about my readers is that you all LOVE headbands. Well, I've got quite the giveaway set up for you today! Sugar Blossom Boutique is run by Danielle, who also blogs over here. 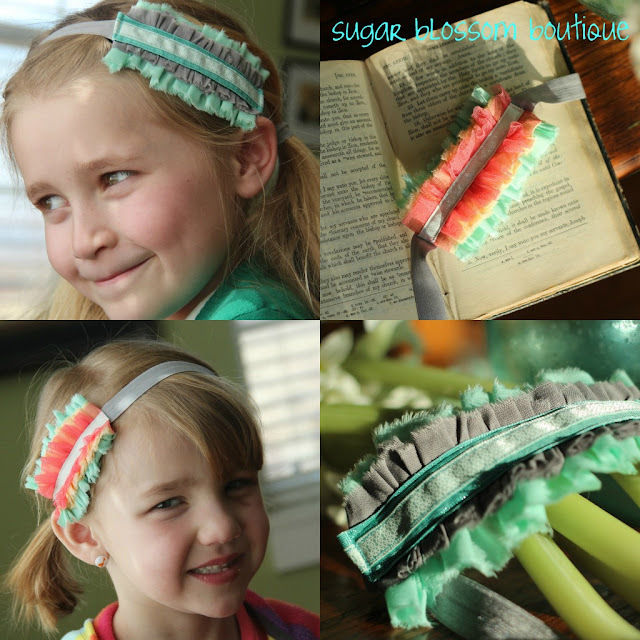 She creates gorgeous headbands that are so fun, but not too over-the-top girly! They are both chic & bohemian, and quite honestly? I'd love one of each! Here are some products from Sugar Blossom Boutique, including some form her new spring line! 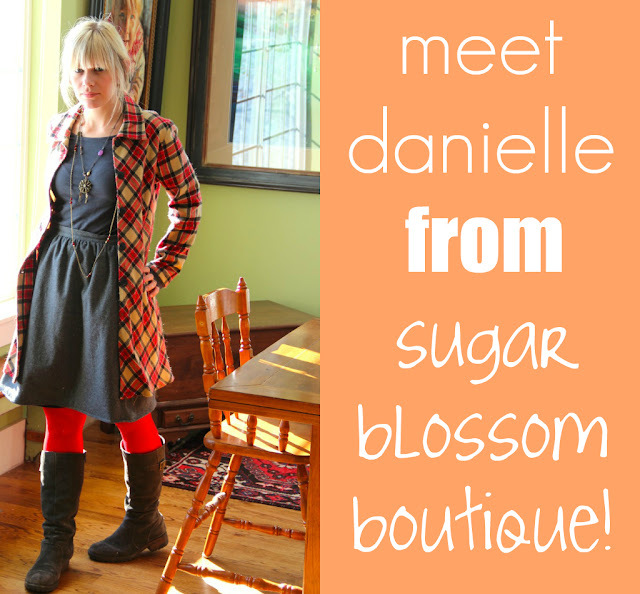 After that, read about Danielle and the inspiration behind her cutie pie shop. and i am the happy owner of 3 lovely children. create things whilst the kids play. i like to think my creations are unique. i hope ya like 'em. you're the first to see my purty spring collection. 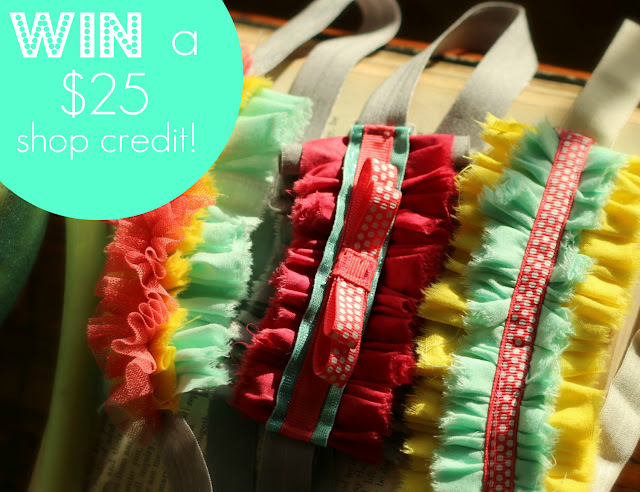 Today, Danielle is giving away a $20 shop credit, which is plenty to snag up your favorite headband design from Sugar Blossom Boutique. 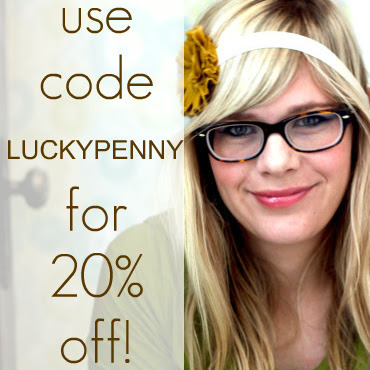 You can also use the code LUCKYPENNY for 20% off! To enter this giveaway, visit Sugar Blossom Boutique and tell me your favorite item! 4. Follow Danielle's blog via GFC (one entry). i follow Danielle on twitter! i follow you on twitter, kim! Love the Boho headband in mustard yellow. I follow Danielle on Twitter. I'm totally loving the Skinny Boho Headband in mustard! I follow Danielle's blog via gfc!! I am loving the skinny boho headbands! I LOVE the hues of autumn headband!! I would totally want the Boho Headband in Mustard Yellow! 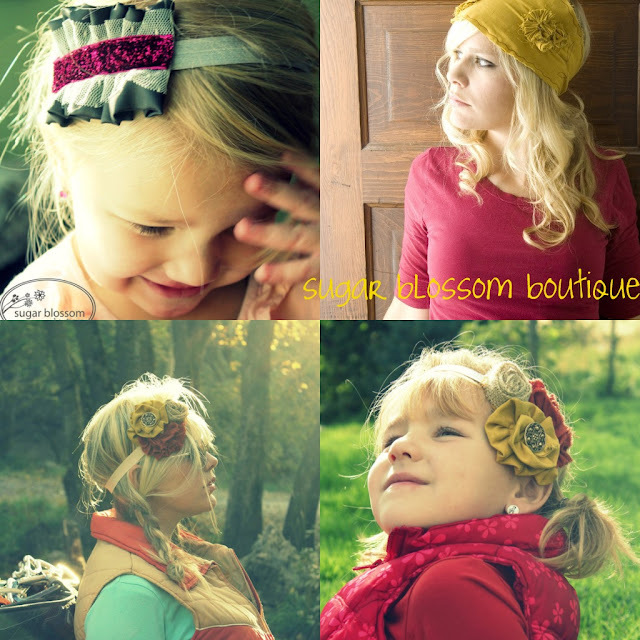 I love the trio of autumn color headband for kids. oh my gosh! those boho headbands ALL. THE. WAY!!! too cool. Love the gotta love a little turquoise headband! i follow oh, sweet joy! blog via GFC and Google Reader! i follow Danielle's blog via GFC and Google Reader! you know i follow you on GFC! My favorite item is the hues of autumn headband. Following you on GFC. Love the headbands! Adorable. Skinny Boho headbands are too cute! I love the skinny boho headband in yellow! I'm now a follower of Danielle's blog! My favorite item is the skinny boho headband. the eggplant skinny boho is my fave! :) so chic! I am a Robot BeEp BEeP bEeP headband by sugar blossom boutique is my current fave! OH, I love all her stuff...but I have been wanted a boho headband forev!! Now following Oh, Sweet Joy on GFC! I love the boho and walk thru the woods. and i feel so silly writing one little sentence on each of these! A fav. item....to many to chooossseee!